For all the talk about a world without borders and ever more interconnectedness, one fundamental human trait has not lost any of its power: the penchant of humankind to organize itself in tribes. E.O. 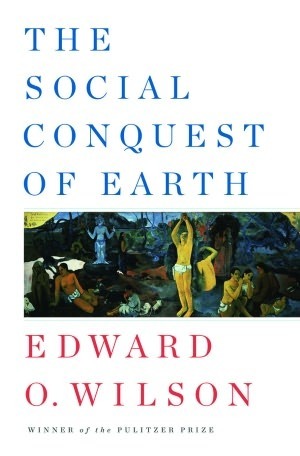 Wilson, one of the world's most renowned biologists and author of "The Social Conquest of Earth," examines the roots of ethnocentrism. People must have a tribe. It gives them a name, adding to their own and social meaning in a chaotic world. It makes the environment less disorienting and dangerous. The social world of each modern human is not a single tribe, but rather a system of interlocking tribes. People savor the company of like-minded friends, and they yearn to be in one of the best — perhaps an elite college or the executive committee of a company, a religious sect, a fraternity, a garden club. The goal is to belong to any collectivity that can be compared favorably with other competing groups of the same category. People around the world today have grown ever more cautious of war and are fearful of its consequences. They have turned increasingly to its moral equivalent in team sports. Their thirst for group membership and superiority of their group can be satisfied with victory by their warriors in clashes on ritualized battlefields. Like the cheerful and well-dressed citizens of Washington, D.C., who came out to witness the First Battle of Bull Run during the Civil War, people now anticipate the experience of a battle of the Washington Redskins on the football field with relish. The same applies to Arsenal of London, Real Madrid or Bayern Munich. Experiments conducted over many years by social psychologists have revealed how swiftly and decisively people divide into groups, and then discriminate in favor of the one to which they belong. We are animals and we behave like animals. It seems that most life on the planet organizes themselves politically and by groups. Inevitable, it seems, but not always bad. The problems arise when people view their group as the only correct, virtuous, privileged, valuable, important, worthy, blessed, etc., group there is. I finished this book a couple of weeks ago. I was no fan of EO Wilson but I LOVED the book. I highly recommend it! I also enjoyed very much the parts dealing with ant societies and the contrast with human societies. The best we can do for the future of our species and also to immediately improve the well being of our fellow humans is to understand the many ways in which being an extremely social species shapes our behavior and how strongly this is ingrained in our biology. If we are to influence human societies positively, we need to understand what motivates us. This book goes a long way towards explaining what "human nature" really is at its core.